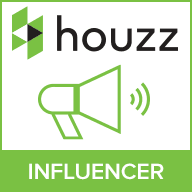 It’ll soon be summer which means you should be thinking about your outdoor spaces and how you can make the most out of your exteriors. Barbecues, outdoor tea parties and alfresco dining is on the menu for the next few months. 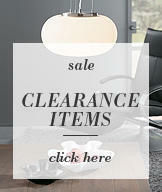 So make sure you have enough light to keep your party glowing until late on into the evening. There are so many ways to highlight your outdoor spaces with outdoor lighting but there’s one idea that (if you have any trees in your garden) will give your outdoor spaces that extra exterior ambience. Even a slight illumination of a tree trunk will add drama and intrigue to your outdoor spaces. How to choose which trees to illuminate? First and foremost, any tree can be illuminated. However, it’s more about the size and the structure of the tree that needs to be taken into consideration. For this reason, different sized trees will need different styles of lighting. For instance, larger trees you will get a stronger illumination with the use of two or three spike lights dotted around the base of the trunk. On the other hand, open trees that have less branches are the best for lighting, they can have a beam of light that travels straight up through the middle, highlighting the trunk. hanging lanterns and faux candles. Uplighting is the most common outdoor lighting installation as it gives a dramatic highlight as well as creating vertical depth and a dramatic ambience to the garden. Creating a powerful and effective glow as the evening draws in. Adding spike lights are a great way to achieve uplighting. 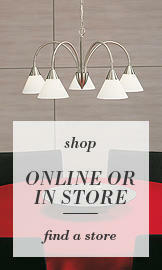 These handy little rays of light are easy to install and can be placed pretty much anywhere. To illuminate trees and shrubbery place your spike light just below the tree and angle upwards for an upward illumination. 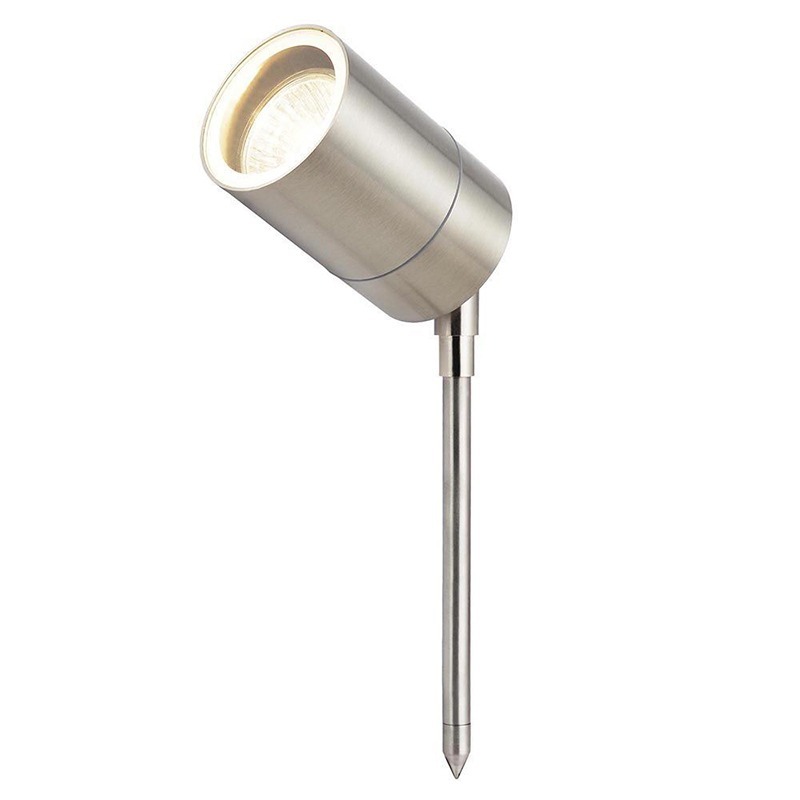 Litecraft offer a range of spike lights, from stainless steel finishes to back metal, all encased in a robust, waterproof finish. 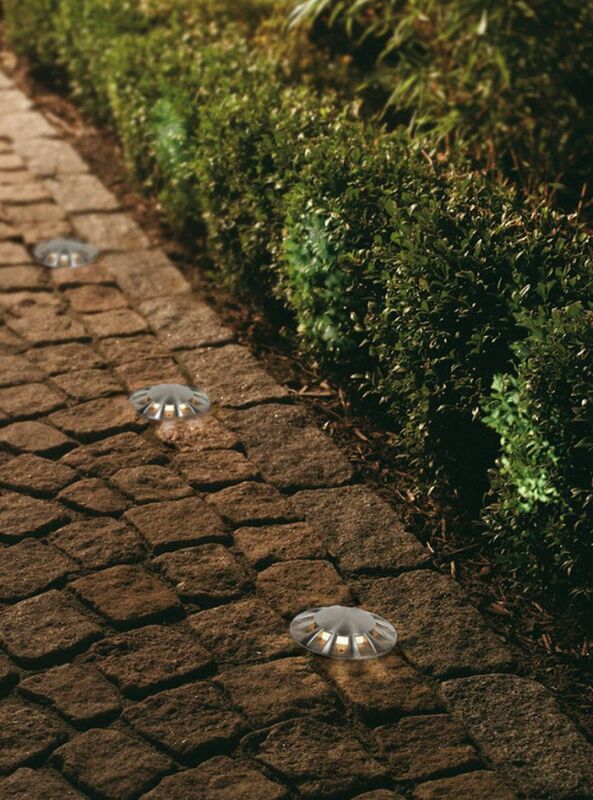 Ground and drive over outdoor lights offer more than just a guiding light for decking and patio areas. They can also be used to give a subtle illumination for trees and shrubbery. Adding recessed ground lights are more beneficial for smaller trees and potted plants as the scope isn’t as powerful. However, they can still be used to create a subtle ambience. 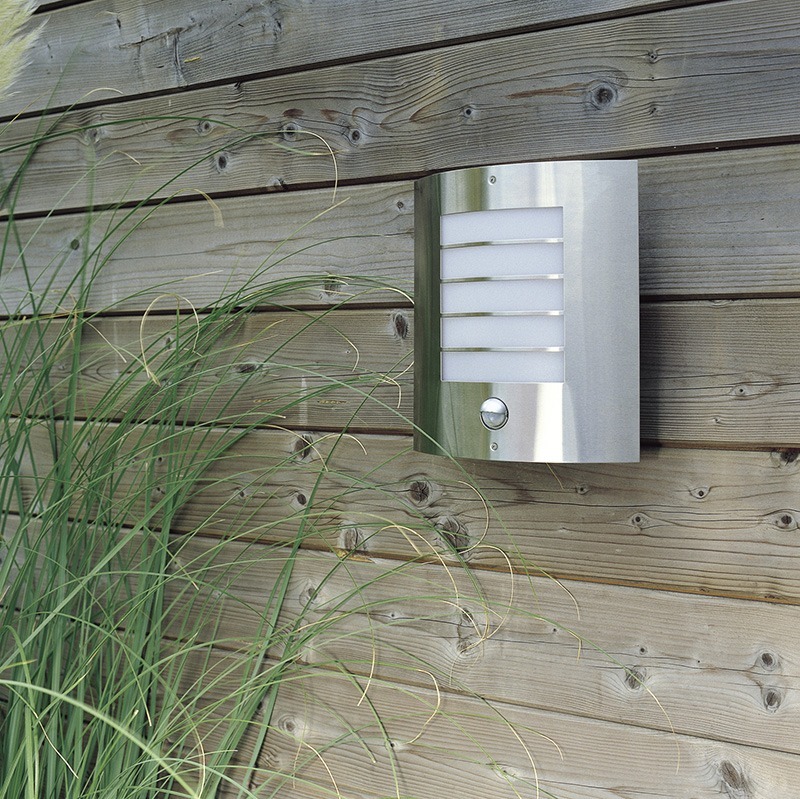 Again, all out outdoor recessed spotlights are IP44 rated which protects them from weather erosion. 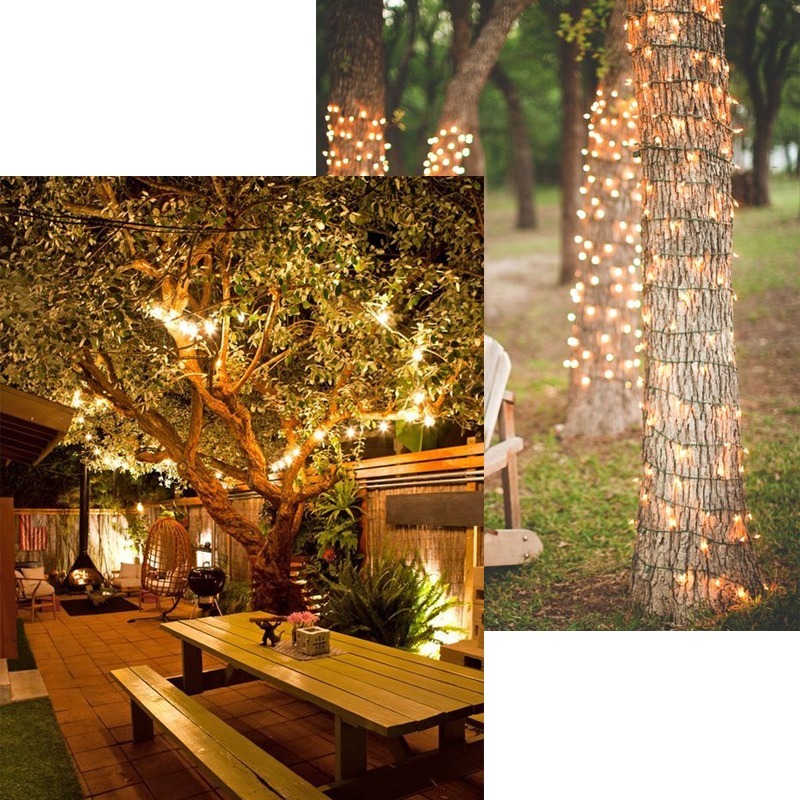 Add a fun and frivolous approach to your gardens and yards with some string lighting. Wrap around tree trunks and drape over branches to add a whimsical touch to your garden. Furthermore, for even more sparkle loosely dangle string slights from branches over an outdoor table for an exquisite alfresco dining experience. 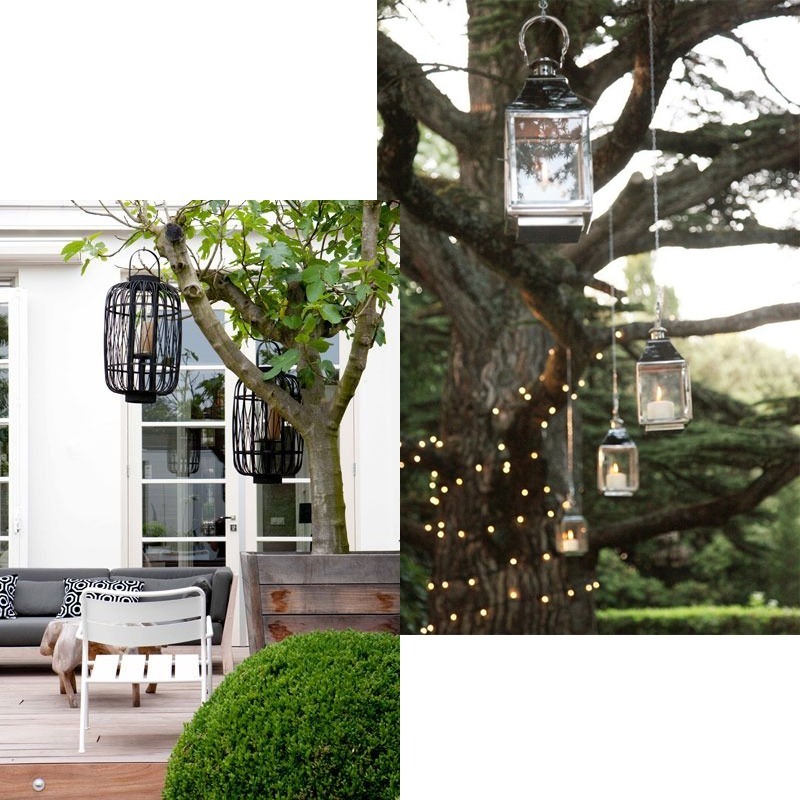 Another effective way to introduce light to your outdoor trees is by hanging several lanterns from the branches. However, we’d advise you only choose this look if you have a thick branched tree that can hold heavy lanterns. Place faux candles insides for a glistening effect. Our LED faux candles are great for displaying inside lanterns. Don’t forget to bring these inside if the weather changes. Are you blessed with a tree in your garden? How do you illuminate yours?